Serving unmet needs of Baby Boomers and their parents, funeral and pre-need planners can now expand their services in a meaningful and profitable way by offering legacy planning services. LegacyStories.org has produced an online Certified Legacy Planner training package that offers a turnkey legacy cosulting business for funeral homes. Knoxville, TN, September 2, 2014— LegacyStories.org, an authorized member benefit provider for the National Association of Estate Planners & Councils, has introduced an online Certified Legacy Planner (CLP) training course for funeral homes and pre-need planning consultants. The course broadens the menu of services that funeral homes can provide to meet the needs of baby boomers, their children and their parents. 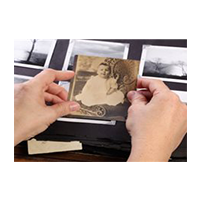 CLPs guide individuals and families through the process of building a legacy portfolio of recorded memories, important documents, artifacts and life lessons to benefit their heirs. 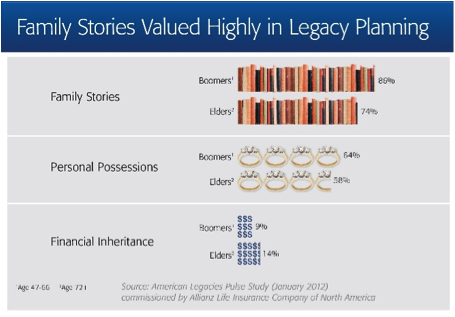 While 86% of baby boomers and 74% of elders valued family stories, life lessons and values, just 9% prioritized financial inheritance. Personal possessions also received a higher priority at 64% and 58% for baby boomers and elders. Tom Cormier, President and CEO of LegacyStories.org says funeral planning professionals are uniquely positioned as trusted advisers to offer legacy services. He expresses his enthusiasm for the training program that will equip them for their role in meeting these needs. The Certified Legacy Planner course contains eleven modules and an optional support package. In addition to delivering legacy planning services, the course provides unique cause marketing elements that can be applied to acquire future funeral clients by working with estate planners, assisted living communities, hospices and the greater community. "We have built into the training some proven marketing strategies that establish deep relationships with families well ahead of their need for funeral services," says Stack. "Our legacy plans encourage frequent billable sessions over a sustained period of time, maintaining a meaningful contact and inter-generational bond with clients." LegacyStories.org has created a special webpage exclusively for funeral directors and pre-need consultants to learn more about the training. "It is our hope that by empowering companies with the ability to offer legacy planning services, that our greater mission of saving the living history of our time will be accomplished," says Cormier. 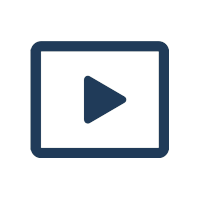 ABOUT LEGACYSTORIES.ORG- LegacyStories.org is a cloud-secured living history library, providing back-up and storage of carefully selected recorded memories that rise to the level of legacy. 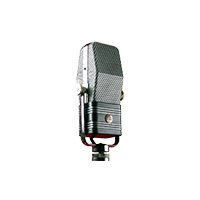 The site provides a free Legacy Portfolio and the tools to create and store legacy stories, photos, documents, recordings, writings, and Pict-Oral Memoriestm, an innovation to narrate legacy stories that are hidden behind vintage family photos. Members can discriminately share content with five different audiences - private, family, friends, friends and family, and public. 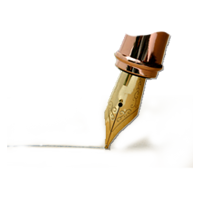 Members can link individual content to over 3.5 billion ancestor records in the FamilySearchtm Family Tree, the world's official family tree of human kind.